Good Foxy are returning to their hometown of Clitheroe to play a special non-profit homecoming gig to celebrate the launch of their new EP. The quartet are to play a gig in support of The Grand venue in Clitheroe, and will donate all proceedings to charity. 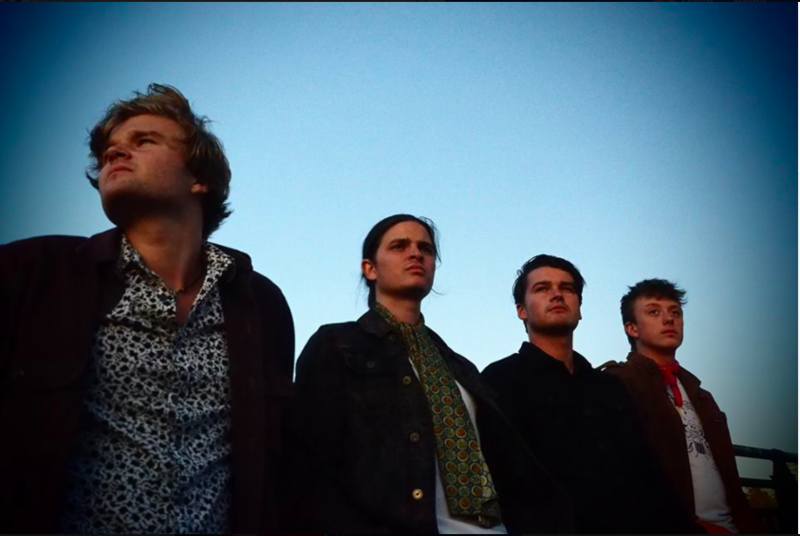 Good Foxy are four-piece psychedelic rock band and is made up of lead vocalist and guitarist George Banks, Freddie Price on bass, Callum Sykora on drums and rhythm guitarist Henry Crabtree. Over the last year, Good Foxy have excelled expectations and have played all up and down the country in cities like Edinburgh, Manchester, London and the Isle of White, as well as playing festivals such as Beatherder and The Great Escape festival in Brighton. As a thank you to all their fans and colleagues who helped them become what they are today, the band wants to give back to the community by donating all the money raised to charity, to help other young aspiring musicians reach their full potential, and hopefully go on to be as successful as they are. “They let us record our first singles and our first feature length album in their recording studio, and they have always been pushing our name into the music circuit and for that we are so grateful.” Continued the 21-year old Clitheroe resident. “The fact that The Grand is a non-profit charity organisation means that it would be a perfect opportunity to donate all profits to help other musicians to become successful. And who knows, maybe one day we will all share the same stage together at a massive music festival, that would be pretty cool!”. “Yeah man imagine if we all ended up playing somewhere mad like Glastonbuy, that would be so sick”. Chuckled Freddie. Tickets for this charity event can be bought a week in advance when a price is negotiated from either Good Foxy’s website or via The Grands site. The events doors are set to open at 7pm, with support acts to get the ball rolling at around 7:30pm. For more details on Good Foxy’s tour dates and news for forthcoming music visit: https://www.goodfoxy.co.uk.